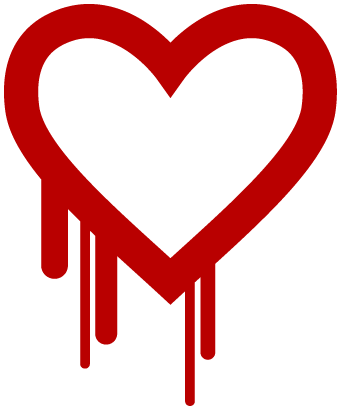 Articles and Emails about the “Heartbleed” have flooded the news and internet. The reason is because it’s such a wide spread security issue. Most of the websites you use all the time may be insecure until the companies fix them. To simplify the issue for the sake of space and clarity, Many websites use something called SSL and place a padlock in your web browser to show you that the connection is secure. A secure connection between you and a website is like the the water pipe between your home and the water company, this connection is then verified secured. Common websites which do this are your bank, Facebook, Google/Gmail, Etc. The Heartbleed Issue is a “loophole” where a person can bypass the security of a website. In my analogy, it means that somewhere between your house and the water company hackers can bypass your security and tap into your pipe and see all the water in your pipe. In terms of websites, hackers can use this “loophole” to view transactions, passwords, emails, etc. For those of our clients who accept credit cards on their websites (usually with Stripe.com), we have made sure our web servers have updated to close the Heartbleed Bug and we have had our SSL certificates reissued. Make a list of all the website you want to ensure are secure. My personal list includes the following: Banks, Social Media, Email, Services like Dropbox and Netflix. Monitor you account for unusual activity and contact the company at the first sign of trouble. FHB.com- NOT Secure, do not log into the website yet.